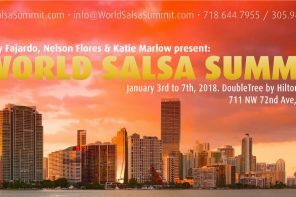 This post contains the “FINALS” results from the 2017 World Salsa Summit (2018 Results Here). The Heat number, Division, Competitor(s) name, home country, and Score are noted. The competition took place from January 18th – 22nd in Miami, Florida. Are there really 190 catergories to compete in? And several with just one or two entrants? Why? I never really liked competition in dance so perhaps this is beyond my feeble understanding. I do enjoy a good show but never really understood the ‘beauty’ of grading them.